Digital temperature sensor DS18B20 with 1-wire interface. Works in range from -55 °C to 125 °C. It is supplied with the voltage from 3.0 V to 5.5 V.
Popular digital thermometer (digital sensor) in a TO92 case, is equipped with communication interface 1-wire. The distribution of the I/Os of the sensor: VDD - supply voltage, DQ - the digital signal, GND - the mass of the system. User manual for Arduino is available at this address. 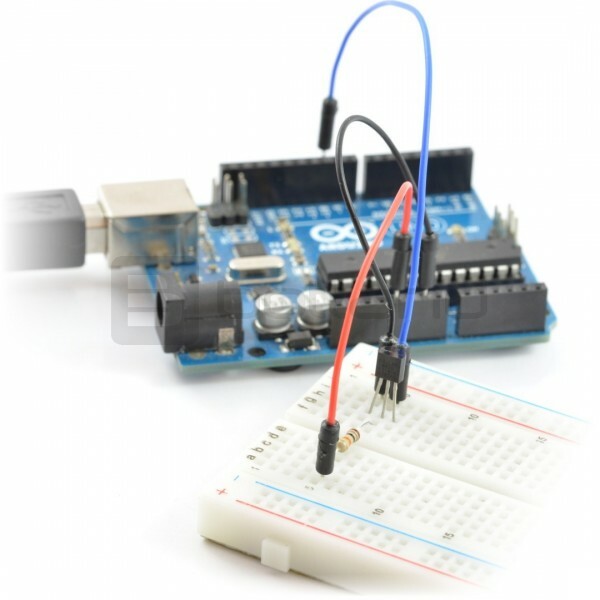 The sensor can also be controlled using the Raspberry Pi, when connected as described in this article.